We all know that technology has changed things. New technologies have changed how we cook, how we heat our houses, how we make clothing, how we grow vegetables, and even how we go to the bathroom. In the past ten years, arts technologies have also taken major leaps forward. It used to be far too expensive for an ordinary person to own a professional quality camera; today, most people can take HD video and photos on their phones. It used to be too complicated for anyone outside the industries to use graphic design or movie editing programs; today, they are cheaper and simpler, and they’re taught as high school electives. Musicians had to go to a studio in order to record and produce tapes and CDs that sounded professional; today, anyone can record and mix an EP in a home studio. Of course with technological change comes cultural change. As technologies become cheaper, easier to use, and more widespread, the number of artists experimenting with the new technologies grows. The arts have experienced a democratization. Anyone can do it, right? Just look at Etsy: anyone with a paint brush and yarn are now able to sell their paintings and scarves online. But the question remains: does more art mean better art? 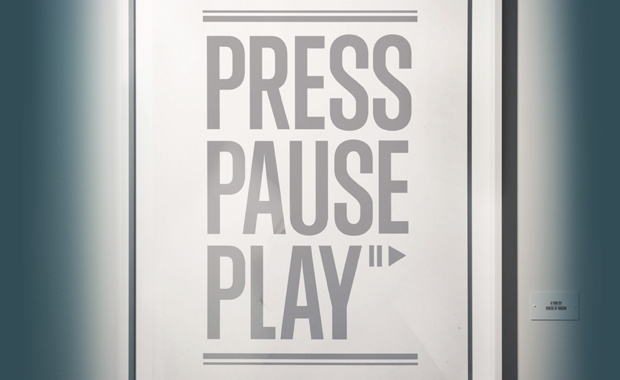 The documentry that we’re featuring today, “Press Pause Play,” asks this question. Both Jeremy and I found it fascinating and it provoked a lot of discussion for us about what makes art ART (if you know what we mean), and also how this new cultural movement allows for truly good artists to rise to the top, as mastery of craft and focus on one medium becomes more important in distinguishing true art from mere experimentation (we hope). The whole documentary is online at Vimeo, and features interviews and commentary from such notable people as Moby and Seth Godin. We hope it makes you think. You can also download the film for free here. They have a Paypal “donate” button and I’m sure they would appreciate a few bucks if you download the film. If you follow this link, there’s a good (and short) write up by Amid Amidi, editor of Cartoon Brew. Okay, so maybe I haven’t launched a career on the silver screen, but Jeremy and I did get to help make a women’s ministry promotional video for our church a few Saturdays ago– and I got to do a lot of stunts and to make funny faces! Woo hoo! I love this little bit of film. It’s not particularly well-animated, it won’t win any awards for “best cinematography.” But it’s a good story. Presumably this is a true story. It’s a personal experience, and one completely foreign to me. Through it, my sense of reality is widened. One ingredient for good creative works, it seems to me, are true and relatable experiences – told honestly. Completely unlike the recent blockbuster Avatar (which in spite of having incredible special-effects left audiences longing for an unattainable fantasy) One Minute Racist leaves it’s viewers solidly in reality, pondering real things and hopefully looking to make reality a better place. Found this video on www.cartoonbrew.com one of my favorite sources for inspiration. So many of the works on this site are independently produced, fueled and funded by the passion of the artists. Definitely check it out.